California Highway Patrol officers in Oakland were peppered with gunfire early Sunday as they wrapped up a traffic stop investigation. 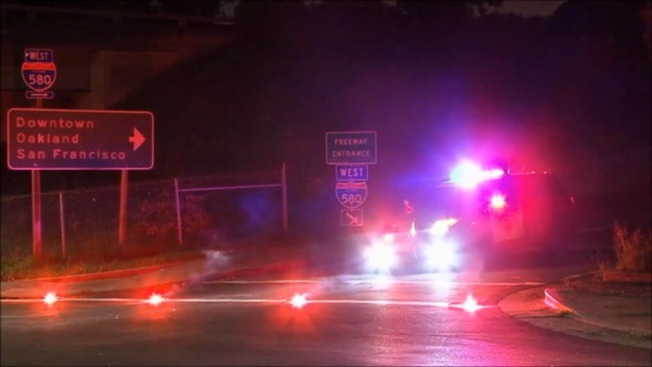 Officers said the shooting happened just before 2 a.m. near the 98th Avenue off-ramp of Interstate 580, a location just blocks away from the scene of a Friday shooting involving a man armed with a rifle firing at residents and police. While officers were putting the finishing touches on a driving under the influence investigation, they saw muzzle flashes and heard rounds being fired in their direction, police said. No officers or patrol vehicles were hit during the shooting, but both directions of I-580 were shut down for nearly two hours while police investigated the scene, according to police. During the investigation, officers found multiple shell casings from where the shots were fired, police said. Police believe the rounds came from a small hand gun. No suspects have been identified at this time, according to police.